In order to make it easier to access all of the information being generated by the neighbourhood planning process, we have created a new area on the website here. a Call for Sites published at the end of November 2017. 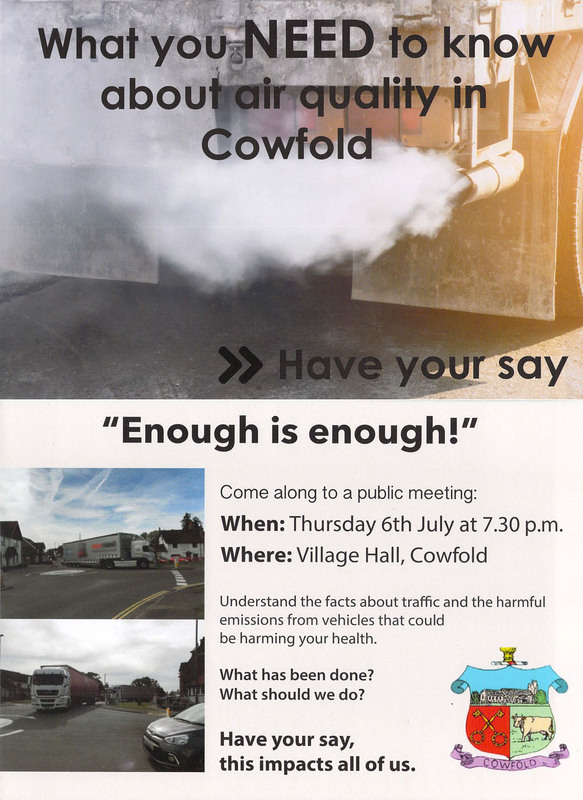 We have also added a feedback section that allows you to post your comments on any aspect of the neighbourhood plan. This entry was posted in Uncategorized on December 10, 2017 by CPC website administrator. The opening times of the pop-up Post Office in The Smithy are now Monday and Thursday, 2:00 to 4.30pm, not Tuesday and Thursday. This entry was posted in Uncategorized on December 3, 2017 by CPC website administrator. Residents are set to move into the 20 new homes In Alley Groves this week. The affordable rented homes, built by Saxon Weald with financial support from Horsham District Council, consist of four one-bedroom flats, nine two-bedroom houses and seven threebedroom houses. 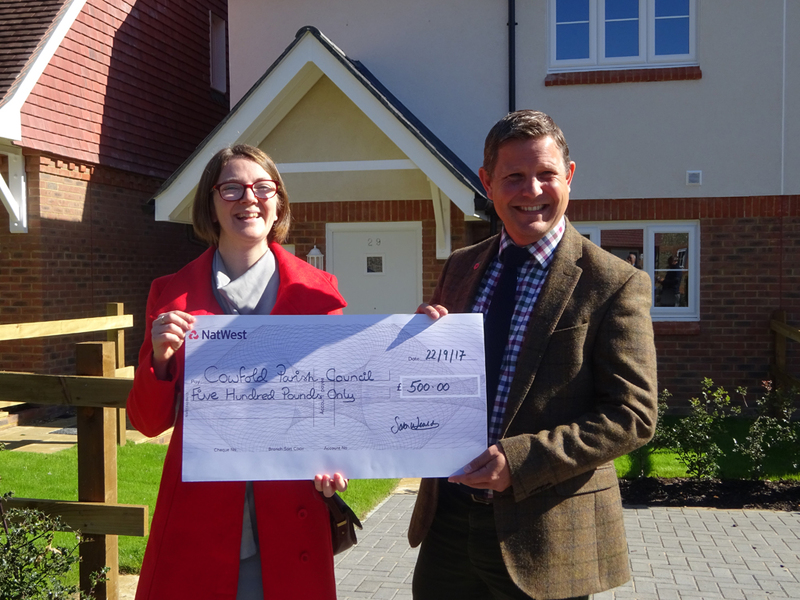 Following the completion of the development, Saxon Weald is celebrating the building of its 1,500th new home and marked the occasion by donating £500 to Cowfold Parish Council to go towards the cost of the village’s new Community and Sports Pavilion. 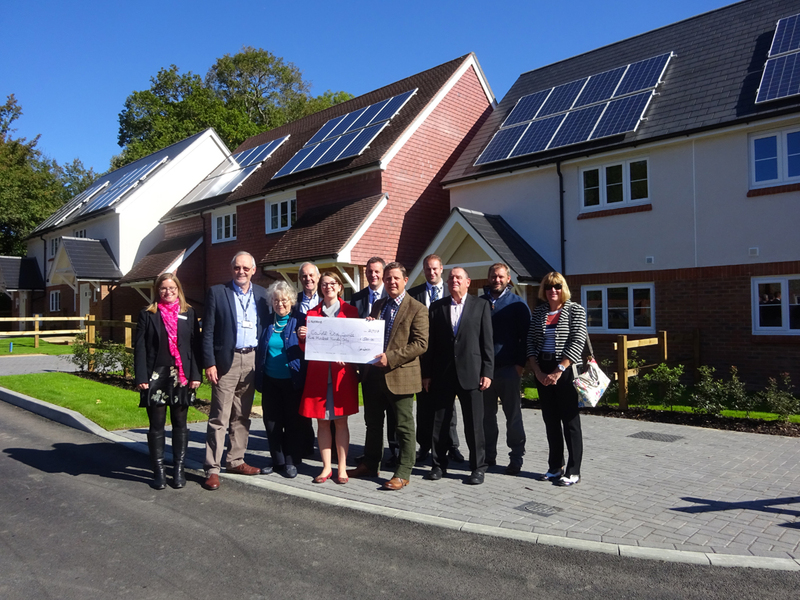 The cheque was presented to the Chairman of Cowfold Parish Council, Jonathan Palling, following a tour of the new development on Friday 22 September 2017. This entry was posted in Uncategorized on September 28, 2017 by CPC website administrator. What do you do with a broken toaster? Or a laptop which is on the go slow? Or with a ripped pair of trousers? Bin it? No, repair, remake, reuse and refresh, saving money and helping the planet. 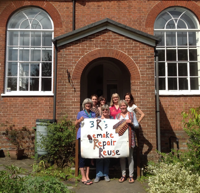 Sussex Green Living, an environmental awareness and education community initiative, and Horsham Quakers are launching a Repair Café on 7th October in Horsham. This will be the first Repair Café in West Sussex and will take place at the Quaker Meeting House, Worthing Road, Horsham RH12 1SL, on the first Saturday of every month 10am– 12.30pm. Volunteer repair experts and creative members of the community will be available to help make all possible repairs free of charge. Tools and materials will also be on hand. People visiting the Horsham Repair Café will bring along their broken items from home, clothes, laptops, PCs, toasters, lamps, hair dryers, and then with the assistance of a technical volunteer repairer they will learn how to mend the item. 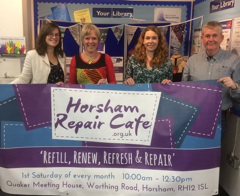 The Horsham Repair Café will consist of a rotating theme of different repair café sessions starting with clothing repair, alterations and textile upcycling on Saturday 7th October. On 4th November laptops and computers can be brought for repairs and on 2nd December the repair café morphs into an energy café to look at how people can reduce their energy use at home and maybe switch to another energy provider to save money. Then on 3rd February the café focuses on woodwork repair and remaking. The themes repeat in 2018 with the addition of a small household goods electrical repair session on 7th April. Further information about the rotating repair and energy themes can be found on www.HorshamRepairCafe.org.uk. This entry was posted in Uncategorized on September 23, 2017 by CPC website administrator. 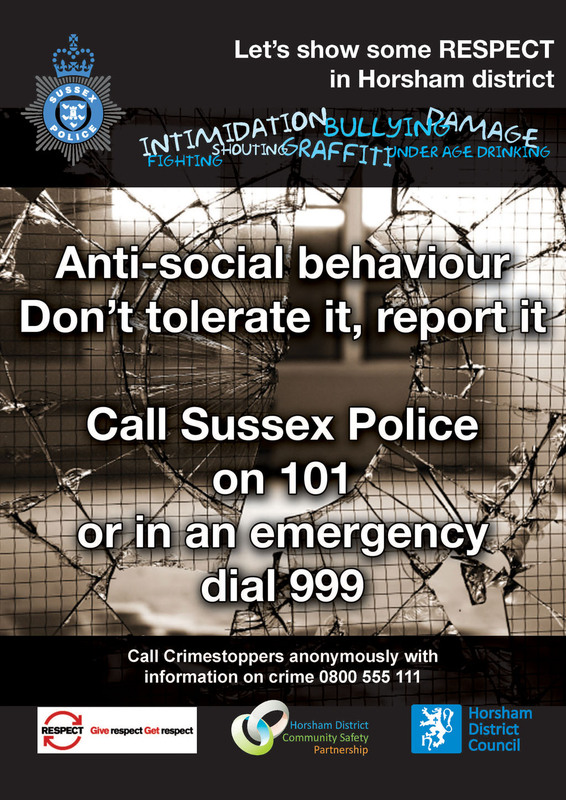 airAlert is a service, provided by the Sussex Air Quality Partnership (Sussex-air) that sends free messages direct to vulnerable people informing them about air pollution levels in their area. This entry was posted in Uncategorized on September 12, 2017 by CPC website administrator. 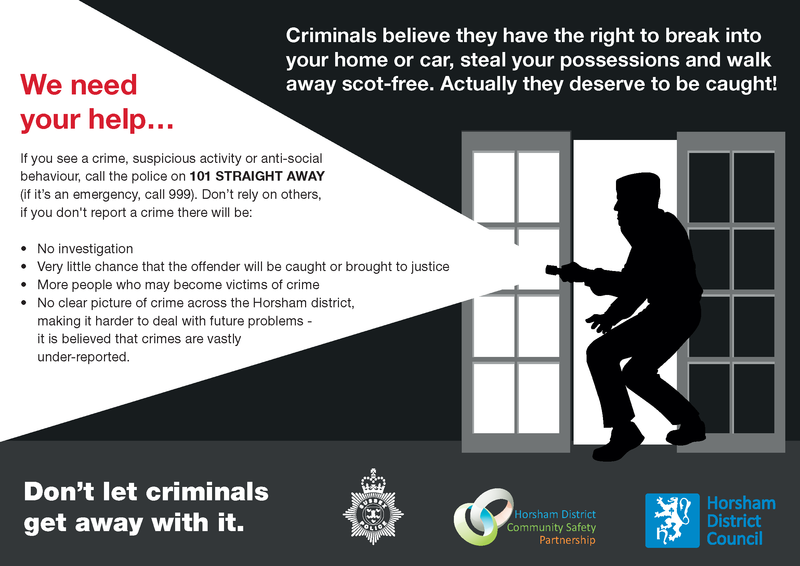 Don’t Let Criminals Get Away With It! This entry was posted in Uncategorized on August 9, 2017 by CPC website administrator. This entry was posted in Uncategorized on June 30, 2017 by CPC website administrator. 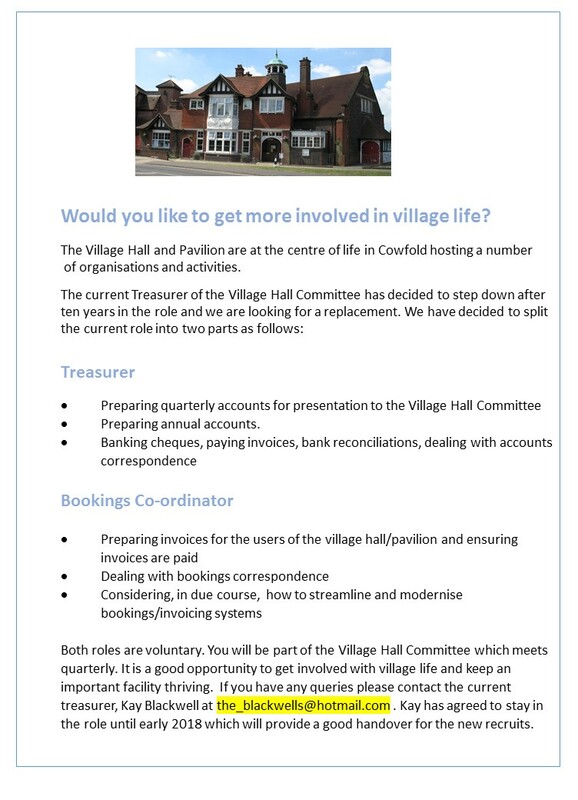 Want to get more involved in village life? This entry was posted in Uncategorized on April 1, 2017 by CPC website administrator. The approximate expected completion date for the development is August 2017. Applicants will be nominated to the rented properties from Horsham District Council’s Housing Register. To get on the Register, applicants will need to apply on line at Horsham District Council’s website. Where no person or insufficient persons have a connection with the parish of Cowfold as outlined above, then the following cascade will apply, Nuthurst, West Grinstead, Shermanbury, Lower Beeding, followed by the rest of the District of Horsham shall be substituted for the parish of Ashington. This entry was posted in Uncategorized on March 15, 2017 by CPC website administrator.